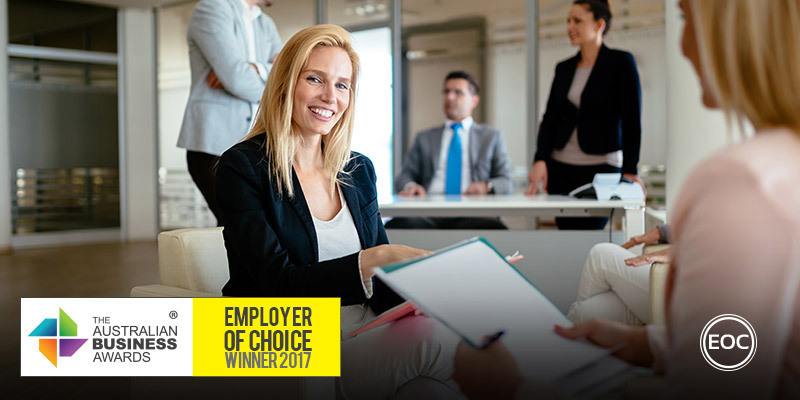 FCB Group has been recognised as an Employer of Choice in The Australian Business Awards 2017. For more than 25 years, FCB Group has supported some of Australia’s leading organisations reach their internal goals around people management and staff satisfaction. FCB Group is made up of some of Australia’s leading workplace relations lawyers and consultants. They take a holistic approach to workplace relations, offering not just assistance whenever workplace legal problems arise, but strategies that prevent them arising in the first place. They offer a full suite of workplace relations and HR advisory services to ensure that businesses manage their people efficiently and minimise the chances of things going wrong. In short, they offer smarter ways for businesses to manage their people. FCB’s recruitment and workforce management approach is to have “the right people, doing the right work, in the right locations, using the right tools, at the right time”. Maintaining “the right fit” across teams and individuals has the added benefit of a higher number of staff choosing to stay with the company long term. The average tenure of employees at FCB is 5 years and 20% of their employees have been with the company for 6 – 20+ years. As they believe strongly in both their culture and values as an organisation and in alignment with the “Right People” vision statement, they apply a lot of time, consideration and care to their recruitment processes, performance management processes and internal progression decisions made in the business. FCB are committed to continuous improvement through staff feedback. In 2016 after an extended period of growth in the business we conducted a communications survey asking staff about communication in the business generally – seeking feedback on types of communication, content of communication, style, channels and frequency. The twice yearly online performance reviews are conducted on the enableHR platform, which they built and developed in-house. All professional staff are allocated a senior Mentor who is committed to their development. Formal mentoring frameworks guide the coaching relationship and cover elements of a professional’s development. The organisation encourages learning and development to support and enable employees at all levels to increase their competencies and knowledge. Individual training needs are identified and form part of an individual’s personal development plan, which is captured in enableHR, monitored and progressed by the employee and their manager. They are committed to facilitating external training and development through a range of initiatives which include providing for paid study leave, covering the cost of approved training courses, and granting staff members time off to celebrate major study milestones.